by E. Martin Schotz, M.D. Recent comments by the leaders of the United States and North Korea have reignited public concern about the danger of nuclear war. The Nobel Peace Prize was given this past year to The International Campaign to Abolish Nuclear Weapons. At the dawn of the nuclear age Albert Einstein warned, “The splitting of the atom has changed everything except the way we think. 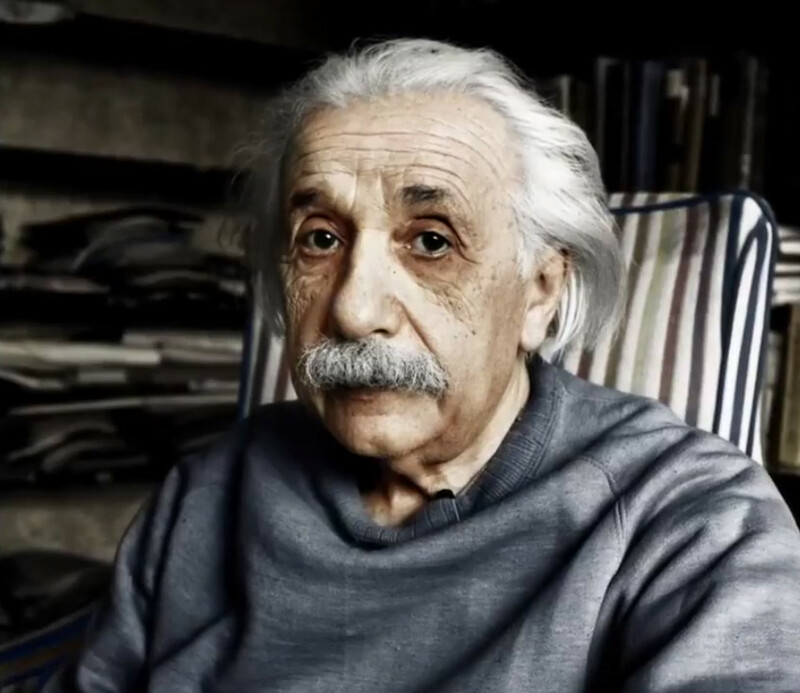 Thus we drift toward unparalleled catastrophe.” What did Einstein mean? And what are the logical implications of Einstein’s insight? What changes must occur in our minds to avoid “unparalleled catastrophe”? There are at least three ways that the existence of nuclear weapons compels us to change our thinking—the way we think about self and other, the way we think about war and peace, and the way we think about democracy. Many think that our military protects us and only endangers others. But with nuclear weapons this idea doesn’t hold. If you live in the United States, a malfunction on Russian radar could be catastrophic for us if it were to mistakenly register a US nuclear attack. We are left with the hope that there will be no problems with Russian radar. Similarly everyone must hope that there are no problems with our radar systems. The vast destructive power of nuclear weapons has entangled us with our “enemies” such that the less secure they are, the less secure we are. Furthermore, the destructive power of nuclear weapons means that using a fraction of the nuclear bombs in the United States arsenal would kill and injure immeasurable numbers of people, seriously damage the environment and disrupt agriculture on a worldwide scale. Nuclear weapons have turned the moral imperative “Do unto others as you would have them do unto you”, into a practical necessity, because what we do unto others will be done to us. Can we understand that only by seeing to the other’s security will we be truly secure? People commonly think of war and peace as opposite states of being. Peace ends and wars begin when the weapons start going off. But with nuclear weapons such thinking is not permissible, because nuclear war doesn’t begin when the weapons go off. Nuclear war ends when the weapons go off. If this is how nuclear war ends, how does nuclear war begin? It begins by building nuclear weapons, testing them, amassing them and preparing to use them. Any talk today of preventing a nuclear war misses the point that we are actually in a nuclear war right now. The question is not how can we prevent a nuclear war, but how will the nuclear war end? Will it end with the weapons abolishing mankind, or will mankind end this war by abolishing nuclear weapons? Just as war is a process, so is peace. Peace is a process of educating people about nuclear war, helping them organize against this war. Peace is a process of building institutions which can help people negotiate solutions to differences and conflicts without resorting to war. Could there be any condition more at odds with democracy than a situation in which a few individuals can make a decision that could destroy all of mankind? The most basic democratic right, the right to live, requires the abolition of nuclear weapons. We ordinary people can seize the democratic right to live by joining together in a worldwide peace movement. Through this peace movement we can create the political will and power to compel the nuclear powers to negotiate a treaty monitored by the United Nations, which will abolish all nuclear weapons and safeguard the true security of all peoples. Everyone has a role in this process. To learn more go to International Campaign to Abolish Nuclear Weapons, an organization which is building support for the International Treaty to Abolish Nuclear Weapons. Please share the following brief video by Dr. Ira Helfand on the danger of nuclear weapons: “Can we prevent nuclear war?” (9:13), and seek out and support organizations in your area that are working to abolish nuclear weapons. Editor’s note: For a long time Dr. Schotz has been exploring the situation described above regarding how nuclear war begins. See his article, “A nuclear war has already begun,” published in the Boston Globe, November 19, 1983.